The corrosion behavior of high-strength steel used for flexible riser exposed to CO2-saturated saline solution and CO2-saturated vapor environments was studied through immersion experiment and electrochemical corrosion experiment. The corrosion behavior and mechanism of the tested steel were analyzed on the basis of corrosion kinetics, nature of corrosion products, corrosion product morphology, elemental distribution and polarization curves. The experimental results showed that the microstructure of the tested steel was bainitic microstructure. The corrosive activity of the tested steel exposed to CO2-saturated vapor environment was significantly lower than that exposed to CO2-saturated saline solution environment. On prolonging the exposure time, the corrosion rate gradually decreased, the corrosion heterogeneity increased, and the dimensions of FeCO3 crystals gradually became small. At later stages of corrosion, the corrosion current density decreased significantly and the anodic Tafel slope increased, indicating that the corrosion process was strongly inhibited. 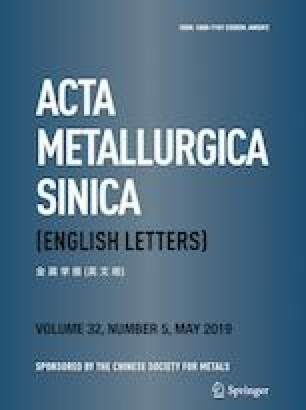 The corrosion mechanism of low-alloy steel with bainitic microstructure was proposed based on experimental results. This work was carried out with financial support from the National High Technology Research and Development Program of China (Grant No. 2015AA03A501) and Doctoral Scientific Research Foundation of Jiangsu University of Science and Technology (1062931702).